Since I launched www.mutechteachernet.com and this blog, I have had the opportunity to meet, chat and learn from many teachers and industry professionals about the growing field of music technology in our classrooms.Two of the most pervasive questions that I get with the seemingly most elusive answers are: what exactly is music technology, and what exactly am I supposed to be teaching? I am going to attempt to address both of these questions in this blog entry. If I can answer the first question, finding an answer to the second question becomes much easier. developed by the National Association of Music Teachers (NAfME) in 2014. 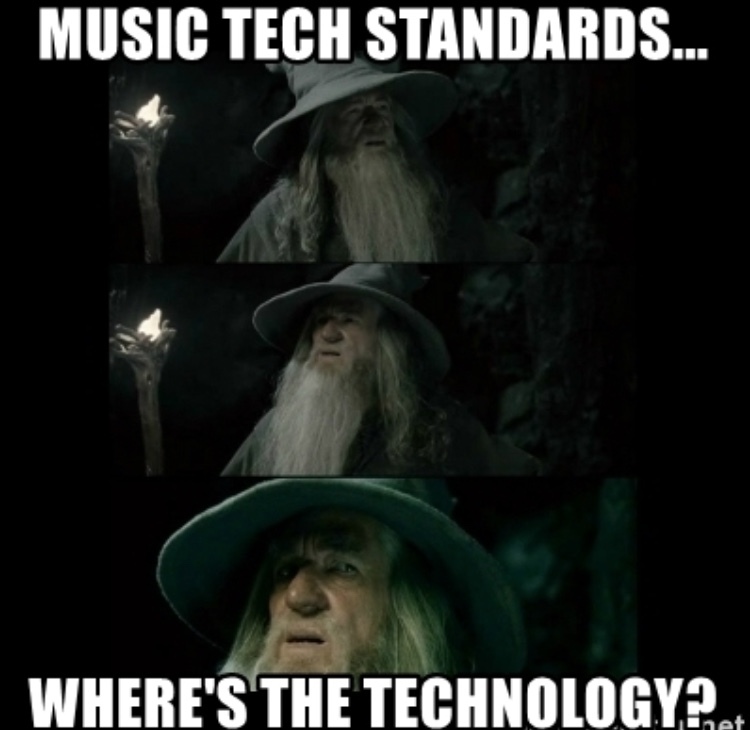 The purpose of this article is not to“deconstruct” these standards, but to give my view on what the purpose of these standards are and how they should be used in implementing a music technology curriculum. music teachers because teaching the instrument specific content is implicit to the class and the standards. music education program, but I digress. and technical resources will be available to the teacher and students. MUSIC technology or music TECHNOLOGY? “keep the main thing the main thing.” In this case, I believe that music is the main thing. Best wishes for an incredible school year to all!! You're right about the term music technology. We need to discard it. What most of us teach is audio production, though even that doesn't describe all I do. In my mind, music technology should be about the people who develop the hardware and software. I disagree that we should teach specific software. Software changes. Teach them concepts that are applicable to all DAWs and then encourage them to learn how to do it. Learning to find their own resources is essential. Thanks so much for your comment and reading the blog. I agree that we shouldn't be teaching specific software. I attempted to make the point that we should teach them to create using whatever technology is at their disposal and you are spot on with the importance of knowing how to find current and developing resources. The term 'Music Technology' is so hard to nail down because it is so broad. It is kind of like saying 'I teach science...' In my situation as a grades 6-8 teacher of students who may, or may not, have any previous musical instruction or experience, my goal is to teach them the elements of music and then show them how to use some digital tools that they can use to create their own music. Information is very informative also you get same from the author, this is the great resource to get such type of information.